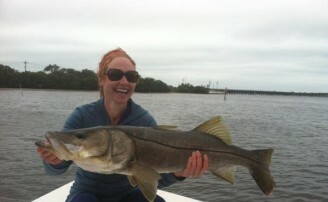 Tampa Bay Cobia fishing is a very popular inshore and offshore challenge. 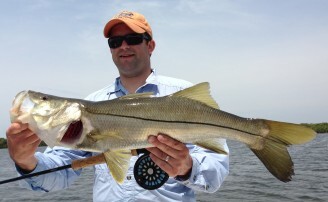 The spring is the very best time to sight fish for them with light tackle. They can be seen cruising the flats alone or behind Sting Rays looking for almost any opportunity for an easy meal. They make for an easy target for light tackle and fly fishermen alike. Throughout the rest of the year Cobia can be found around structures in Tampa Bay as well as offshore. In the fall and winter they also frequent some of the Bay area power plants again making for easy targets as they can be seen cruising the flats nearest to the warm water discharge. Cobia generally average from about 12 to 50 pounds. 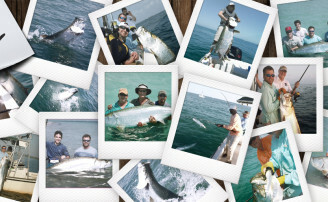 Larger trophy size fish range upwards of 90 pounds. 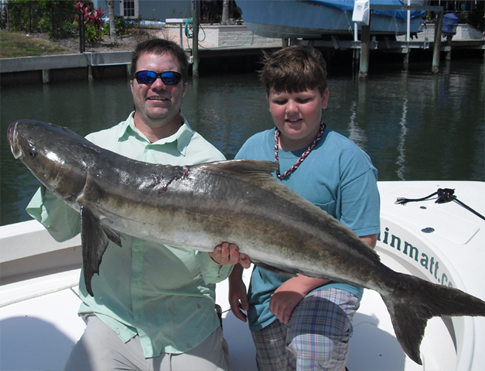 Occasionally Cobia can go over 100 pound and larger.